‘Make myry with lykkerwys lykores and kerve lyttel kakez of mele. 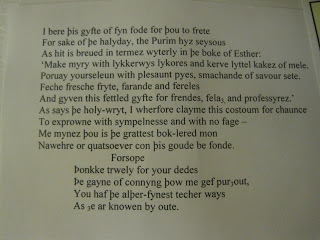 This entry was posted in MedievalBlog and tagged middle english, purim by medievalkarl. Bookmark the permalink.